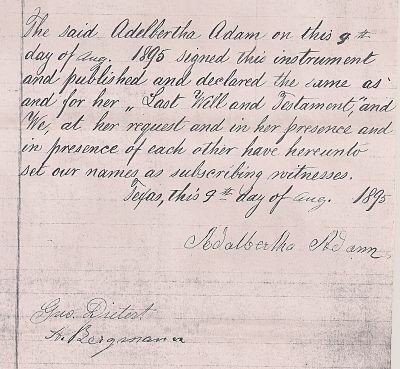 Adam,Adalbertha. 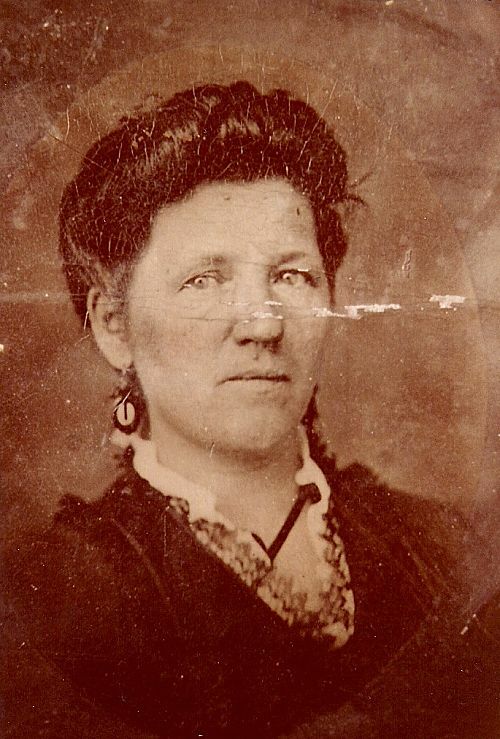 Photograph of the original held by Jimmie Adam. Digital copy privately held by Kathryn Adam-Hurst. Boerne. “Mrs. A. Adam.” San Antonio Express, (San Antonio, Texas) 17 March 1914. Boerne Cemetery (Boerne, Kendall County, Texas). F. E. Voges marker; personally read 2011. Conrad and Adalbertha had seven children with six living to adulthood. I don’t think Amalie had a tombstone but there was a small cemetery within walking distance of the house. When my father was a young boy he was told there was a baby buried in the cemetery. They did not purchase the land until 1874, so I am not sure Amalie is buried there. Don’t you just love this picture? I wish it was clearer but you can still see Julius next to his sister Kathinka. He doesn’t look too happy. Conrad and Adalbertha are in the middle and Therese is holding Emilie. I am guessing Bertha and Emma were too small and would not hold still for the picture.